Attaining a mind at peace, peace of mind or inner peace is a commendable achievement and maintaining it requires special skills! Assuming you have attained inner peace you can be assured the light you have evolved to become will create an even bigger shadow for you to deal with. You don’t get the enemies you deserve. You get the enemies you are expected to handle as your light grows and they come out of even greater darkness. This increasing darkness is unearthed as your ever-increasing light pierces the depth of darkness. These enemies become your teachers as you learn to grow and evolve when you deal with the issues they mirror back to you on your journey towards further enlightenment. By coming from a mind at peace enables you to make a consciously aware decision of whether or not you want to react from Ego, respond with Love or simply take no action whatsoever, and simply let whatever comes your way go past you on its way. The perspective that is required is what difference will this make to me in a year’s time. If I react now coming from Ego what influence will it have on me now, in a few weeks, months and a year down the line. If I respond with Love, try to understand, have empathy, compassion and deal with it in Love, how can I best integrate it as part of me. How will this affect me now, in a few weeks, months and in one year’s time? If I simply do nothing, if I simply surrender to it, accept it , bend with the wind and allow it to pass, no matter the damage I may suffer in the meantime, then you learn that it is not what happens to you that is important it’s how you respond to what happens to you. If you have a why you can handle any what. If you have a reason, you can put up with any circumstance. What what can damage your why? 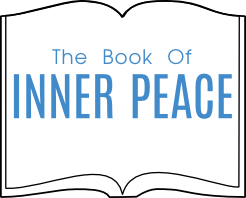 If your reason is maintaining your mind at peace then what circumstances are acceptable to you to damage your peace of mind, your inner peace? Who, or what, are you going to allow into your sacred space to wreak havoc and violate your sanctity. Who, or what, are you going to give permission to damage your hard fought for peace of mind, your inner peace. What do you get in exchange for allowing this peace of mind to be shattered? Something as valuable as your peace of mind? What could be as valuable as your hard fought for peace of mind? So how do you respond with Love to integrate what is happening to you? By giving understanding, compassion, empathy and love. As always, it is thinking, saying, doing and acting with What Would Love Do Now?. Is this worth losing my inner peace for? By surrendering and accepting what is now, you become present in the Now. You become enlightened. Here you become the Part of God You Really Are. What can physically harm God? What can physically harm you when you are the Part of God that is Who You Really Are? Certainly, they, or it, can physically damage your body, but you are not your body, it is an illusion. You are a Soul, a Part of God, indestructible, un-damageable, Pure Love. To surrender is to accept the present moment of now without reservation, unconditionally. It is to let go of any inner resistance you might have to what is occurring right now. Surrender, accept, bend with the wind and know Who You Really Are, a Part of God, inner peace. In this state of surrender, your focus is very clear what needs to be done, one step at a time. Trust the process to unfold as it should, stay in the Now and above all, be Love. In this way your inner peace will be maintained no matter what is happening to you and around you.